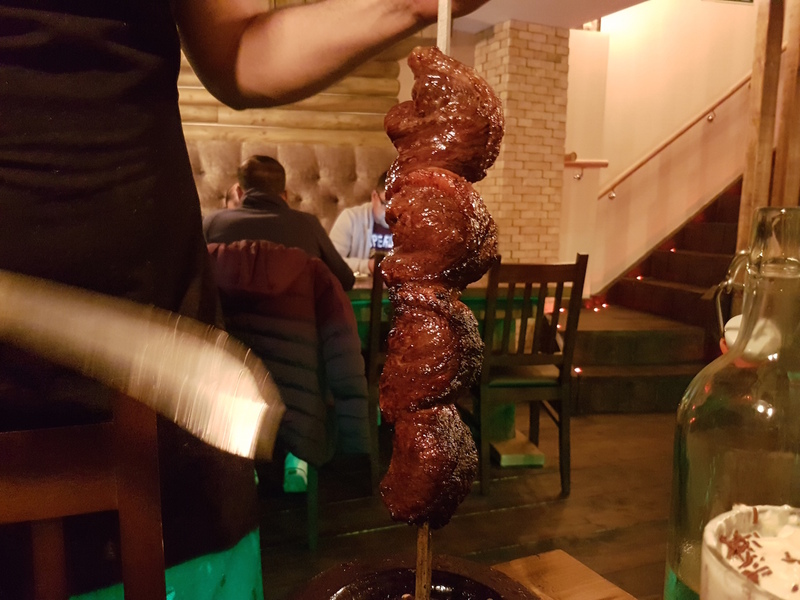 Carne Carbana is a new restaurant that offers a Brazilian BBQ experience with a fully halal and HMC menu located in the Shoreditch and Bethnal Green area. 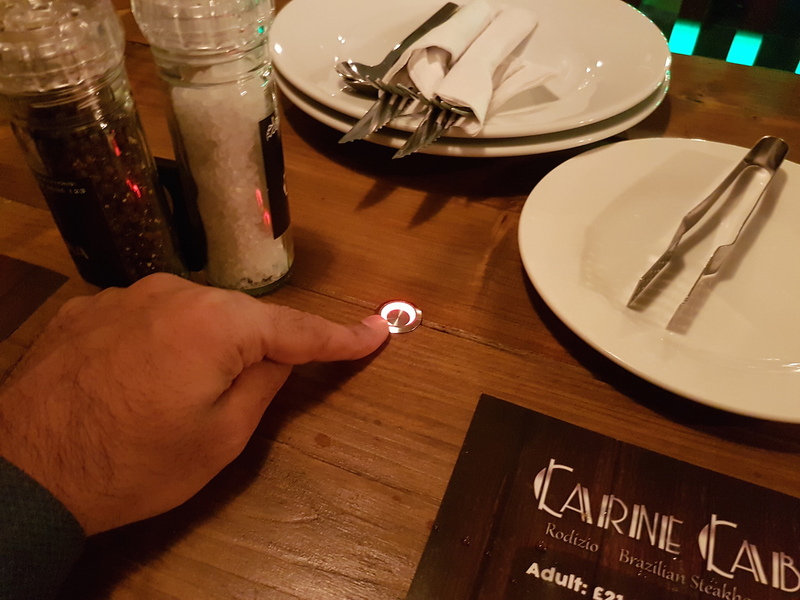 At the time of writing this, Carne Carbana is the only fully halal Brazilian restaurant within zone 1 to 3 in London. Upon entering you will notice a strong wooden theme and the flames and heat of the BBQ in the centre of the restaurant. I was seated downstairs where there are a lot more seats than the top floor, the downstairs also felt like it had a better atmosphere and also has a large booth for big groups or families. The sides arrived very quickly and between the 2 of us there were 6 sides, plus a salad and gravy. At this point the table was looking pretty packed with a range of food. 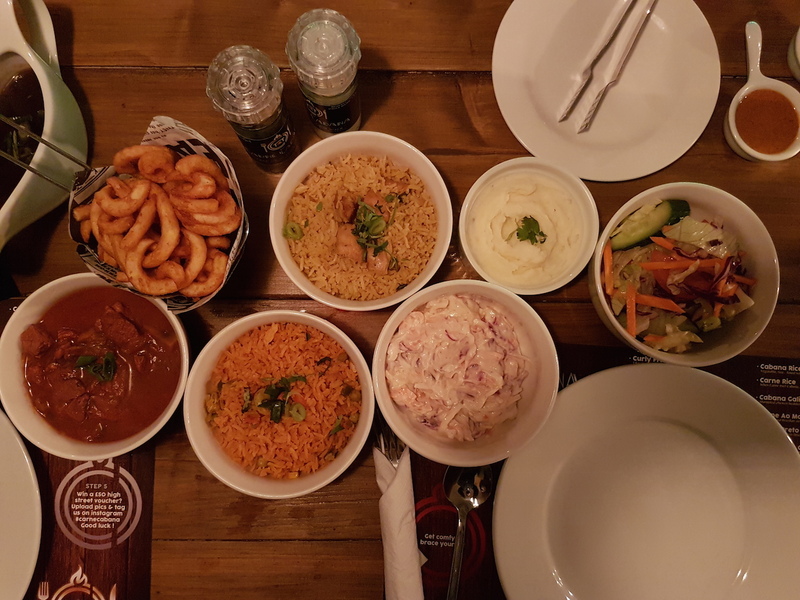 The sides were a bit hit and miss, the good stuff was the curly fries, mash and beef stew, I was not to keen on the rice, it was a bit dry and didn’t taste great, also the coleslaw was way too creamy. My advice is not to eat too much of your sides. 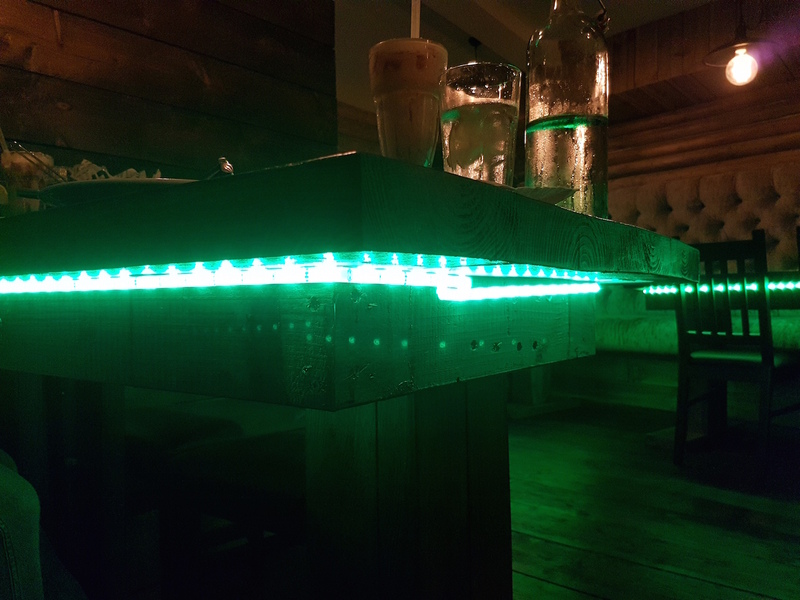 Now the magic happens, once you get your sides you press a button on the middle of your table which lights it up green, which means bring me the MEAT! When you have had enough or want a break turn it off, it might sound like gimmick but i loved the interaction and it actually worked, i found myself feeling full and turning it off, then when feeling like one extra bit i would be turning it on again. 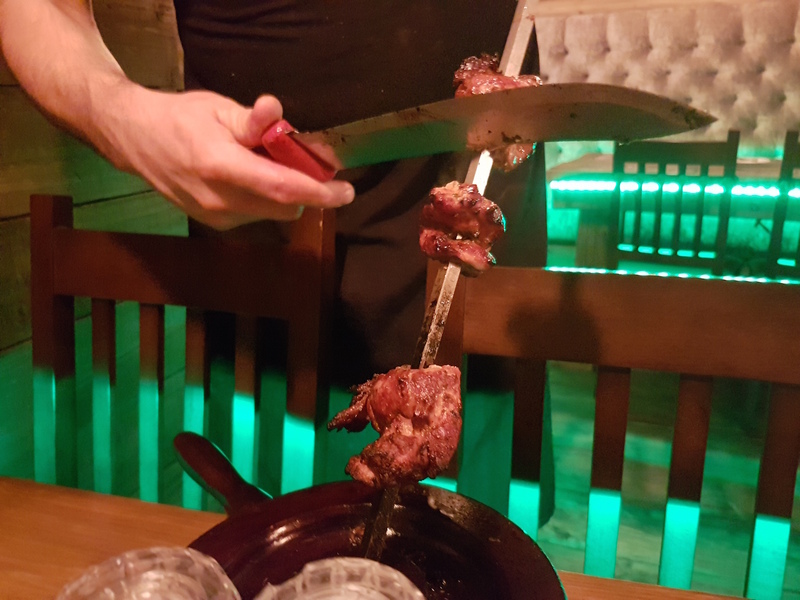 The meat is carved fresh off skewers on you your plate, the order of the meat was random, there was no case of bringing out the cheaper cuts of meat first so you get full on that. I tried a range of chicken, beef and lamb. 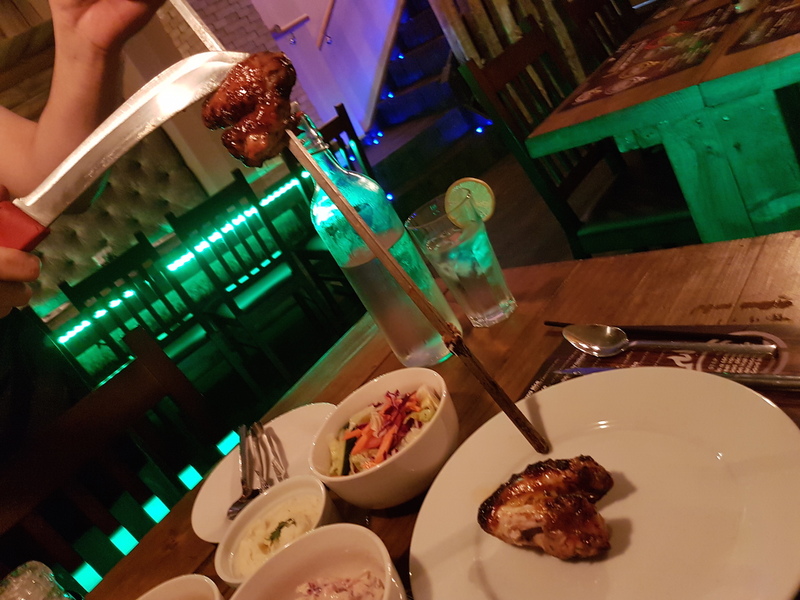 The chicken wings both BBQ and Chili were great, amazing texture and flavour 9/10 for the BBQ wings and 8/10 for the chilli. There were 2 types of beef I tried the Rump steak which was cooked to a requested medium rare. Then i tried what was the showstopper of the night, a cut of beef that i had never heard of nor ate before, the Cap of rump. 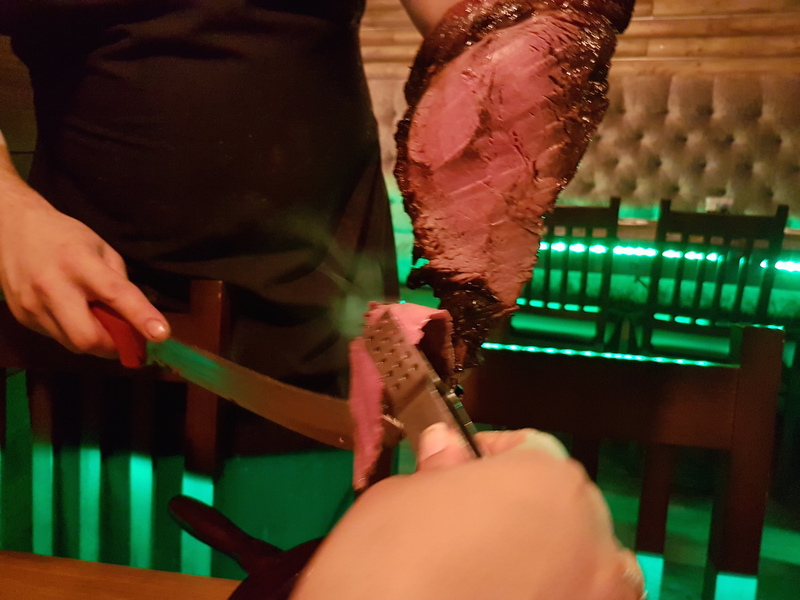 In Brazil, the most prized cut of meat, despite having the name rump, it’s actually sirloin. What made this meat so good was the FAT. Combined with the taste of the BBQ grill the fat just melted in the mouth and the flavours that came from it where just out of this world. It is very rich in flavour and was an absolute treat for my taste buds. This reminded me of eating wagyu beef, as that melt in the mouth texture was very similar. Meats are cooked fresh and brought out when ready, so because of this there are gaps between receiving food which makes you eat less as you don’t have all the food on your plate to eat at once. Our server was great! He always asked us what we wanted and how we would like meat cooked and also made recommendations. He remembered what I liked after trying something for the first time and kept coming back with a second, third and fourth helping! 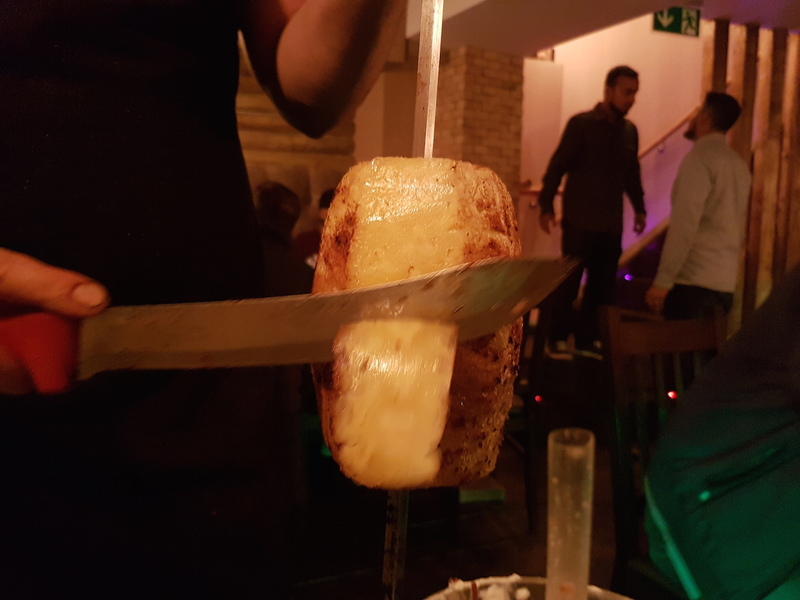 Grilled Pineapple! Was actually good! I was not expecting to enjoy myself as much as I did here but I did! I loved the simple magic button, maybe i’m a big kid inside but I would come back here just to eat that Cap of Rump as it was soo good. I think you are given too many sides to start off with and the portion sizes are too big, I would prefer a small platter of sides, that way I can sample different sides and not waste food as I wasted a lot of the sides which i did not like. But I am a small eater and can’t complain too much that portion sizes were too big! I was invited to eat here, the meal was on the house. 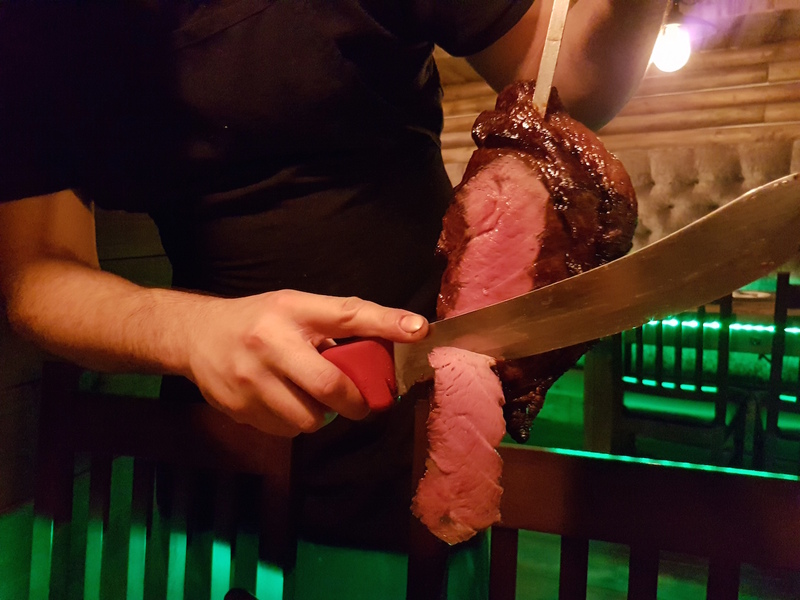 It’s called the picanha, known as the rump cap or sirloin cap. Not that interesting really as it’s a well known cut. Now if they had some cupim that would be a real churrascaria and be there in a flash. Thanks for the review. We tried and it was fantastic, the whole experience. Only only bad thing was they served the pineapple once. Hey Buddy!, I found this information for you: "Carne Carbana (CLOSED)". 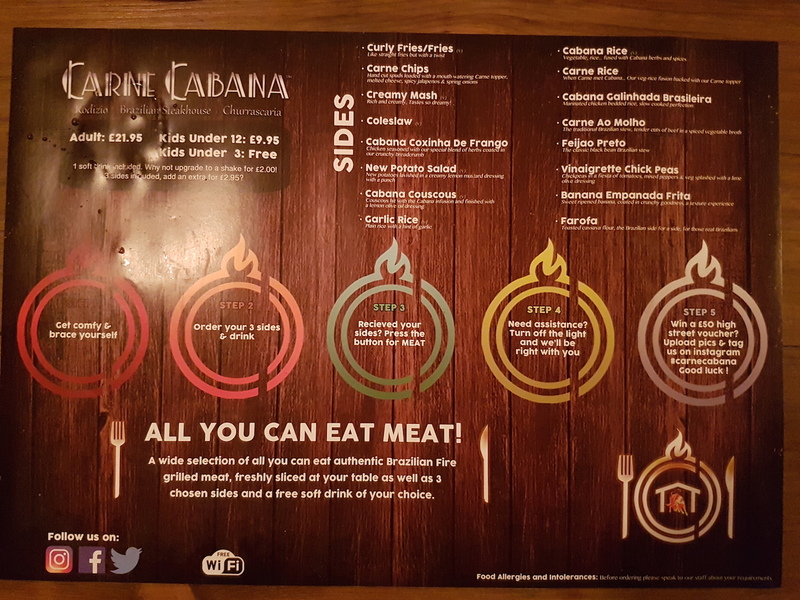 Here is the website link: http://halalfoodguy.co.uk/carne-carbana/. Thank you.